Following fertilization, highly specialized gametic epigenomes are reprogrammed into a totipotent state with the ability to differentiate into all cell types. This reprogramming event consists of multiple processes including deposition of maternal histones to the paternal genome, global DNA demethylation, dynamic chromatin remodeling, and zygotic genome activation (ZGA), etc. Over the past several years, we have revealed a new function of chromatin assembly in nuclear pore complex formation (1), studied the DNA methylation dynamics during preimplantation development and the role of Tet proteins in this process (2-4), and identified the first transcription factor involved in ZGA (5). These works enhanced our understanding of epigenetic reprogramming in early mammalian development. Taking advantage of the low-input epigenome profiling techniques, we have recently profiled the transcription regulatory landscape of mouse pre-implantation embryos (5), and revealed a new mechanism of genomic imprinting (6). Current studies focus on dissecting the underlying mechanisms of ZGA and how dynamic chromatin modifications in mouse gametes and early embryos dictate the first cell lineage specification event. We are also interested in understanding the molecular mechanisms of reprogramming by somatic cell nuclear transfer (SCNT). Besides fertilization, SCNT is the only other way to induce totipotency. Thus, SCNT holds great potential not only for disease modeling and human therapeutics, but also for reproductive cloning of endangered and valuable animals. However, several limitations (including the extremely low efficiency in producing cloned animals) have prevented the general use of SCNT. We have recently identified a major reprograming barrier, and found a way to overcome it (7, 8). We are currently searching for factors important for SCNT reprogramming. Inoue, A., and Zhang, Y. (2014). Nucleosome assembly is required for nuclear pore complex assembly in mouse zygotes. Nature SMB 21, 609-16. Inoue, A., and Zhang, Y. (2011). 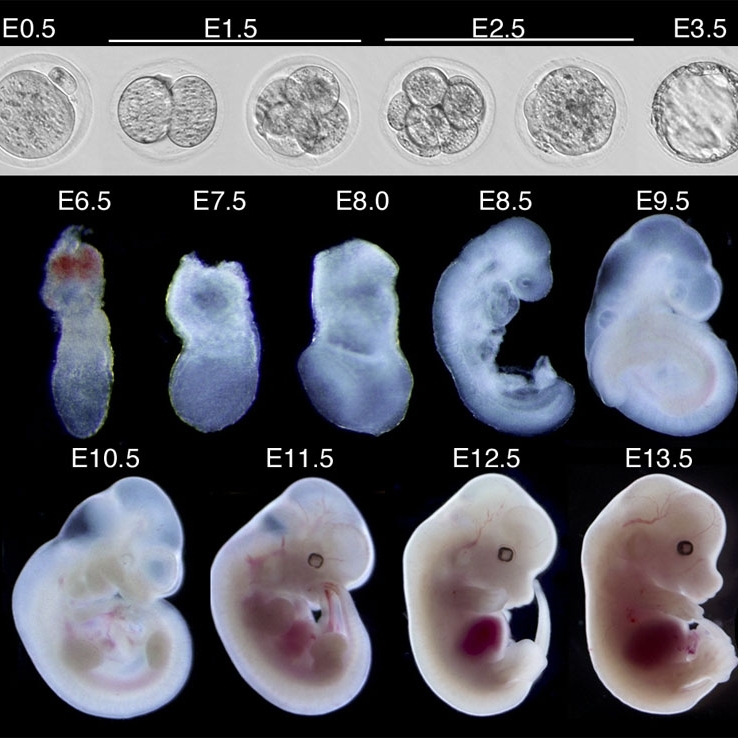 Replication-dependent loss of 5-hydroxymethylcytosine in mouse preimplantation embryos. Science 334, 194. Shen, L., Inoue, A., He, J., Liu, Y., Lu, F., and Zhang, Y. (2014). Tet3 and DNA replication mediate demethylation of both the maternal and paternal genomes in mouse zygotes. Cell Stem Cell 15, 459-470. Inoue, A., Shen, L., Matoba, S., and Zhang, Y. (2015). Haploinsufficiency, but not defective paternal 5mC oxidation, accounts for the developmental defects of maternal Tet3 knockouts. Cell Reports 10, 463-470. Lu, F., Liu, Y., Inoue, A., Suzuki, T., Zhao, K., and Zhang, Y. (2016). Establishing chromatin regulatory landscape during mouse preimplantation development. Cell 165, 1375-1388. Inoue, A., Jiang, L., Lu, F., Suzuki, T., and Zhang, Y. (2017). Maternal H3K27me3 controls DNA methylation-independent genomic imprinting. Nature 547, 419-424. Matoba, S., Liu, Y., Lu, F., Iwabuchi, K.A., Shen, L., Inoue, A., and Zhang, Y. (2014). Embryonic development following somatic cell nuclear transfer impeded by persisting histone methylation. Cell 159, 884-895. Chung, Y.G., Matoba, S., Liu, Y., Eum, J.H., Lu, F., Jiang, W., Lee, J.E., Sepilian, V., Cha, K.Y., Lee, D.R., and Zhang, Y. (2015). Histone demethylase expression enhances human somatic cell nuclear transfer efficiency and promotes derivation of pluripotent stem cells. Cell Stem Cell 17, 758-766.